AVAILABLE TO INSPECT NOW. 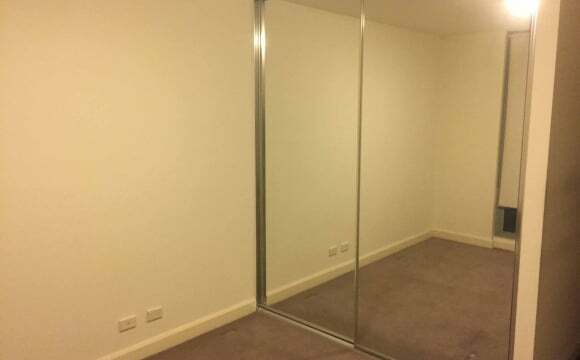 Move in date at end April 2019 PREFER: Quiet clean; tidy person - professional or student ROOM HAS: . 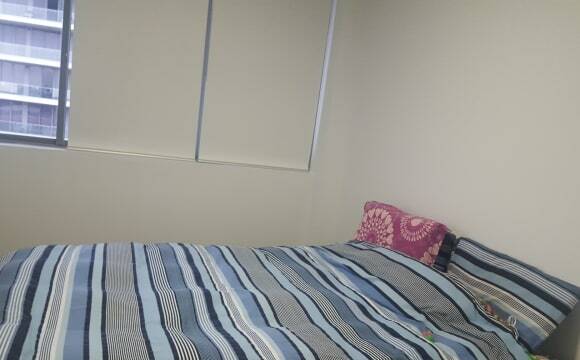 Double Bed . High quality Mattress . Desk &amp; Chair . 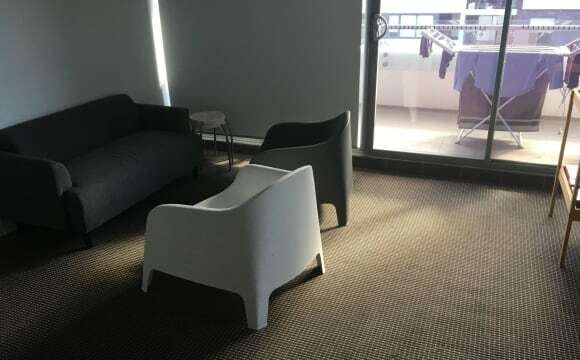 Huge Wardrobe OWN BATHROOM &amp; Balcony Close to PUBLIC TRANSPORT, access to CBD with FREE BUS to Rhodes * SHOES - OFF apartment Room: Has huge built-ins, very comfortable double bed, very spacious wardrobe and a huge desk. 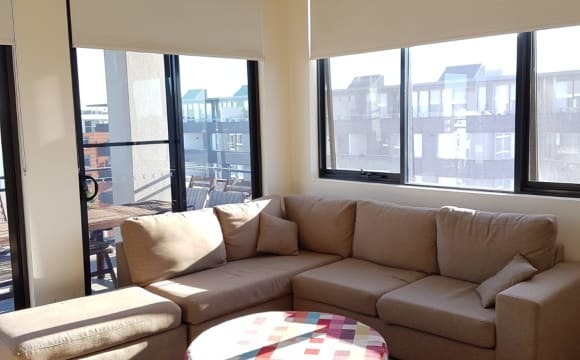 The apartment is always neat and tidy, it's in a Secure Building, Comfortable, Quiet, Clean, well-equipped and is located close to restaurants, public transport, water parkways, and shopping centres. 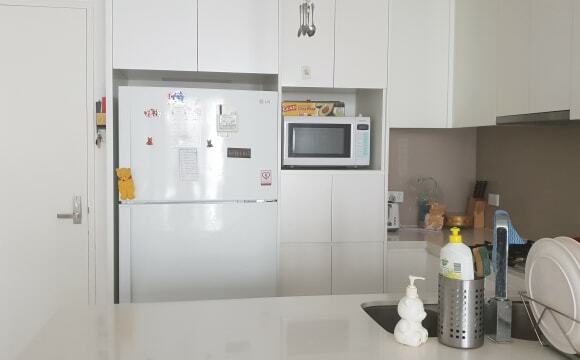 Swimming pools very close.The kitchen is very well equipped with everything you may need. PARKING not included but can be AVAILABLE for additional $30/week from neighbour's unused parking. You would get a large bedroom and have a bathroom to yourself. 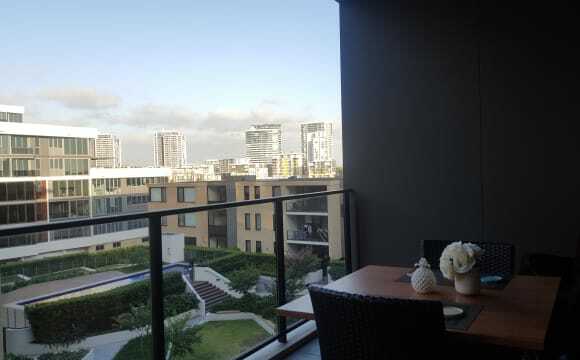 There is also a cosy balcony with spectacular views to relax in. 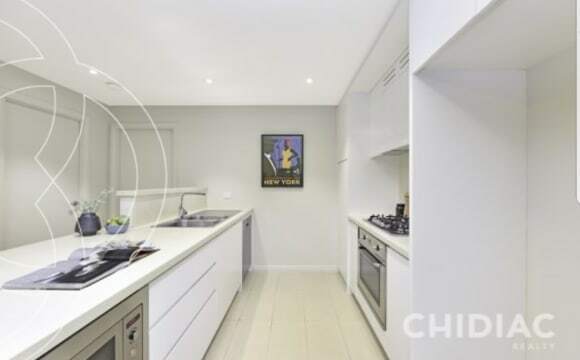 The apartment is well positioned and is walking distance to bike / walking tracks, Rhodes train station (25 minute ride to city) and Wentworth Point / Rhodes Shopping Centres, cafes and restaurants. The apartment is fully furnished with all you might need to feel at home. 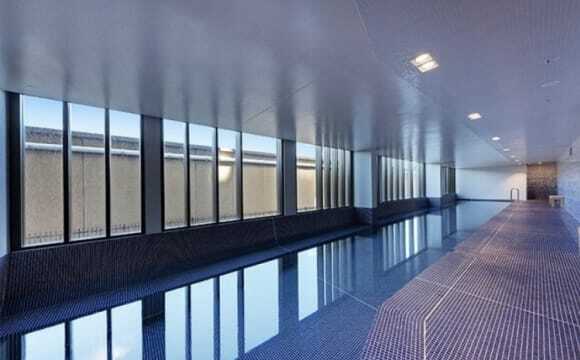 The complex offers a beautiful residents only courtyard and outdoor swimming pool where you can enjoy the sun. 5 mins to the station 10mins to ferry 20 mins to city by train. 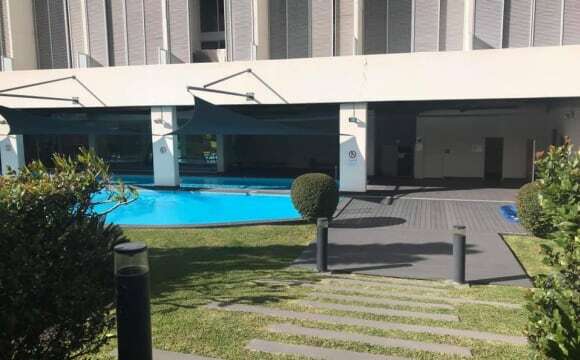 Property also has swimming pool spa sauna and gym. Cafes and mall are just a few minutes away. 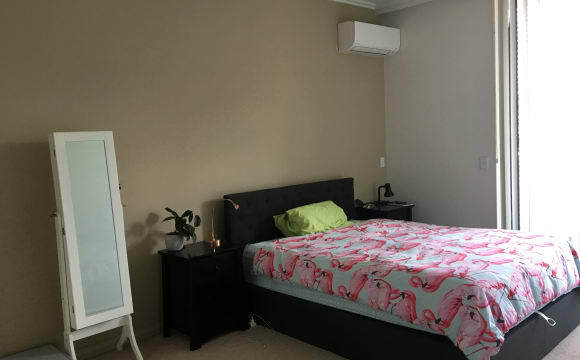 Apartment has aircon Netflix Stan and nbn 5g. 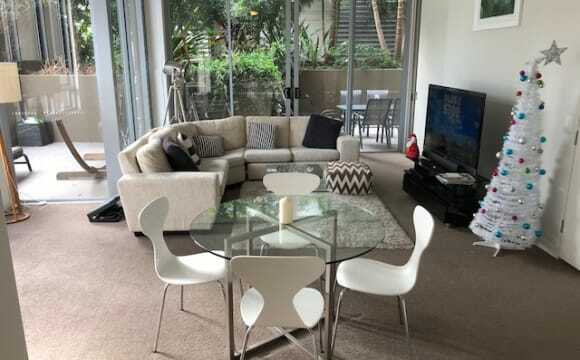 $350 per week I am looking for a clean and friendly female flatmate! 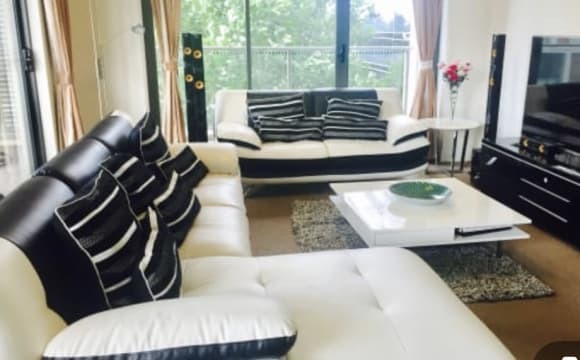 Our apartment is located in rider boulevard and it is 1-2 mins walk to the Rhodes train station and 2-3mins walk to the Rhodes shopping centre! 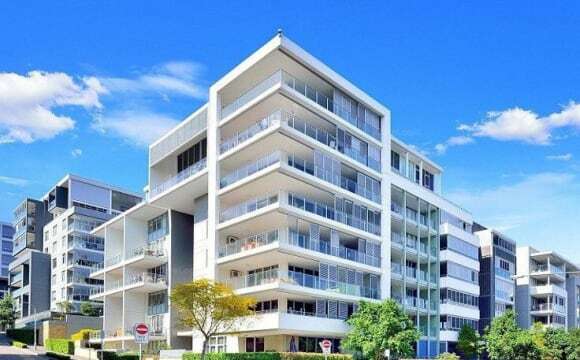 It is a very spacious and large apartment with a nice and comfy living room and an amazing balcony! 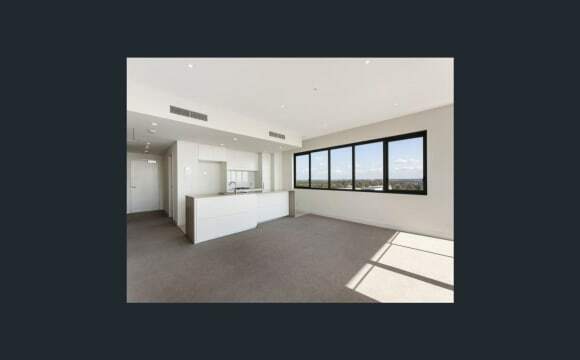 you will have you own bathroom and you will have a fully furnished bedroom! The building has a gym as well ! Nice view from the house . Nice walk near the water . 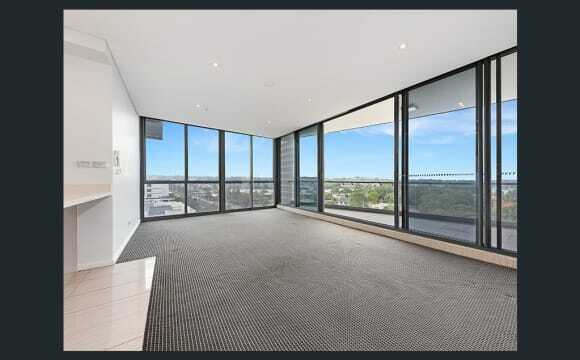 This is a beautiful apartment in one of the best locations in Sydney which I just moved in. All the dishes, furnitures, media system is brand new with perfect design and quality. You will enjoy the water view bedroom with your own bathroom and of course you can relaxed at the spa, swimming pool and workout at the gym anytime you feel like. • Generous 2 bedroom with built-in wardrobes • Luxurious bathroom with separate bathtub • A modern, open plan layout with free-flowing living areas • Brand new dishes, furnitures, media system • Indoor aquatic centre including lap pool, spa and sauna • Fully-equipped gym exclusive to residents • Super-fast broadband available at up to 100 Mbps • Internal laundry with dryer • Reverse cycle air-conditioning system • Security intercom system and secure building access • Short walk to train station + several bus routes + ferry • Close to Rhodes Shopping Centre + Cinemas • Many waterfront parks in walking distance Please note: I am looking for A SINGLE PERSON who is clean, tidy, quiet, respectful and working fulltime.